1. This year's Winton round marks the 30th anniversary of the first time the circuit hosted the Australian Touring Car Championship/V8 Supercars Championship in 1985. Since then the northeast Victorian circuit has hosted the championship every year bar three - 1987, 1996 and 2005. Jim Richards won the first race back in February 1985 and ended up with four Winton race wins in his career, though Glenn Seton and John Bowe hold the record for the most championship race victories there with five each. 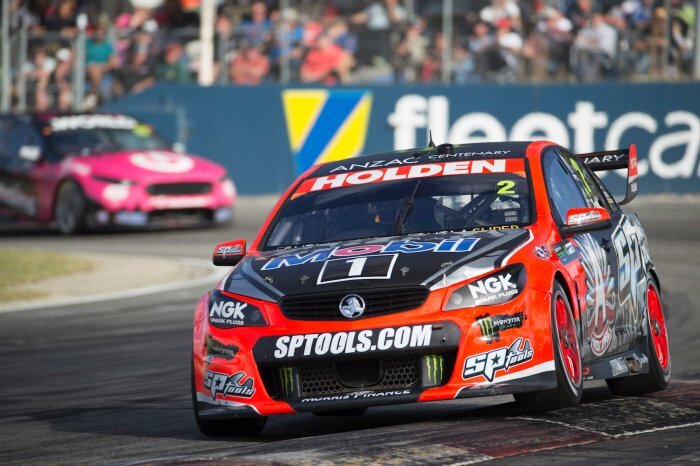 Four current drivers - Jason Bright, Garth Tander, Jamie Whincup and Craig Lowndes - have four wins each and stand to break the Winton wins record this year. 2. 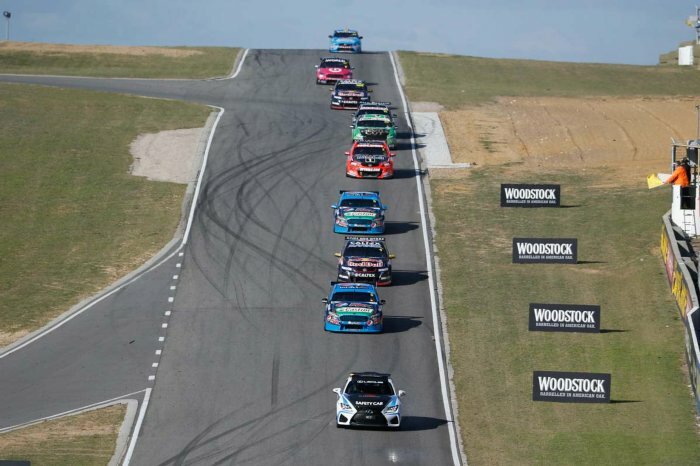 The Holden Racing Team will celebrate a milestone this weekend at Winton and make its 300th ATCC/V8SC round start in its 25th anniversary season. The factory-backed team debuted at Amaroo Park in Sydney in 1990 and has since competed full-time every year except for 1992 when it only competed in a handful of rounds. HRT has accumulated a record 176 championship race wins, 90 pole positions and 219 podium finishes in its history. 3. Picking a winner at Winton this year is tough given six different teams have won the last seven V8 Supercar races held there. Triple Eight Race Engineering, Nissan Motorsport, Prodrive Racing Australia (formerly FPR), Holden Racing Team, Brad Jones Racing and Erebus Motorsport V8 have all tasted success in the recent past with PRA the only repeat race winner in that period. 4. 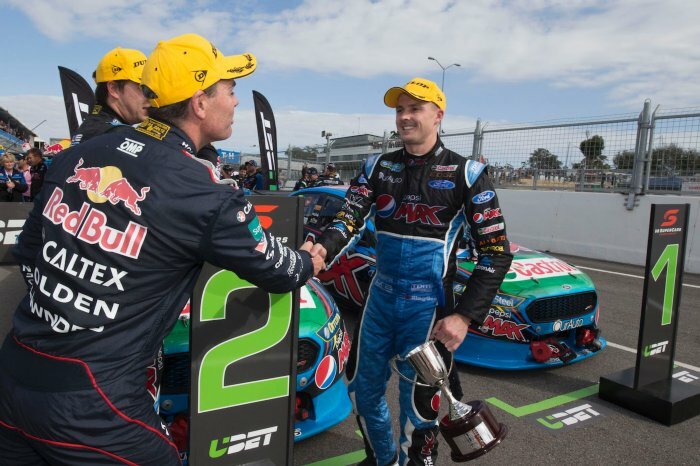 Six different drivers have won the first nine races in this year's V8 Supercars Championship with Jamie Whincup, Craig Lowndes and Mark Winterbottom the only repeat winners so far. Will Davison was the most recent addition to that list in Perth after taking his first race win since July 2013 in Townsville. 5. Winton has proven to be a bogey track for Red Bull Racing Australia since the New Generation 'Car of the Future' machines were introduced in 2013. Jamie Whincup has taken one pole and qualified no better than 13th in the five other races, racking up race results of DNF, DNF, 13th, 9th, 19th and 10th over the last two years at Winton. Current championship leader Craig Lowndes has fared slightly better with finishes of 21st, 12th, 10th, 8th, 16th and 7th. 6. Barbagallo 2015 was the first time since November 2009 (also at Barbagallo) that Holden has gone an entire V8 Supercars Championship round without winning a race or taking a pole position. Ford clean-swept all three poles with the Pepsi Max Crew in Perth while they also won two races. Erebus Motorsport's Mercedes-Benz E63 AMG collected the Sunday race win. 7. 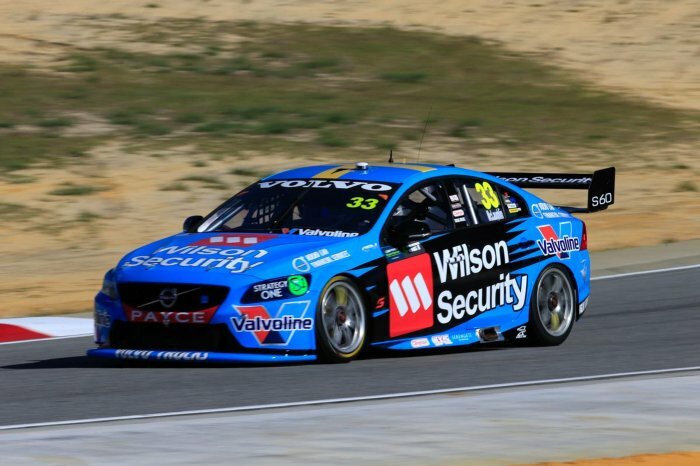 Wilson Security Racing GRM's Scott McLaughlin is languishing in 17th place in the Championship pointscore and that's not the only stark turn-around in his fortunes. Last year he qualified in the top 10 in all bar one of the 38 races that made up the Championship. This year he has qualified outside the top 10 for five of the last six races and has finished no better than seventh. 8. Qualifying fifth or seventh on the grid at Winton is not something any driver would want to do. They are the only two positions in the top 10 that have never produced a race winner at the circuit in ATCC/V8SC history. 9. 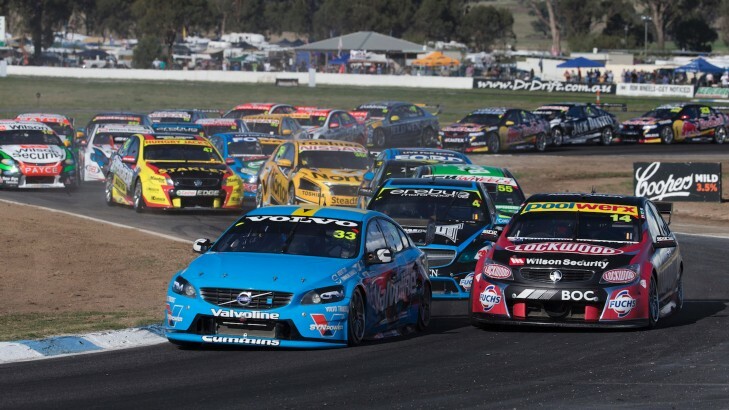 Winton is the home test track for 19 of the 25 cars in the V8 Supercars Championship field. However testing regulations for this year are such that teams are only allowed one test day for the season outside of race meetings and the Sydney SuperTest held in February. 'Home' teams have won five of the six races held at Winton in the 'Car of the Future' era across 2013 and 2014. 10. Of 41 V8SC races held at Winton on the current length track in the V8 Supercar era (1997-2014) the Safety Car has appeared in 24 of them. With 43 Safety Car periods over 41 races, there has been an average of 1.05 SC periods per race. The last time a Winton ATCC/V8SC round did not see the introduction of the Safety Car at any stage during the weekend was 1999. There were three short sprint races held that year. Stay tuned this weekend for the Winton SuperSprint - click here for information on tickets, and here for the full TV schedule across FOX SPORTS and Network Ten.